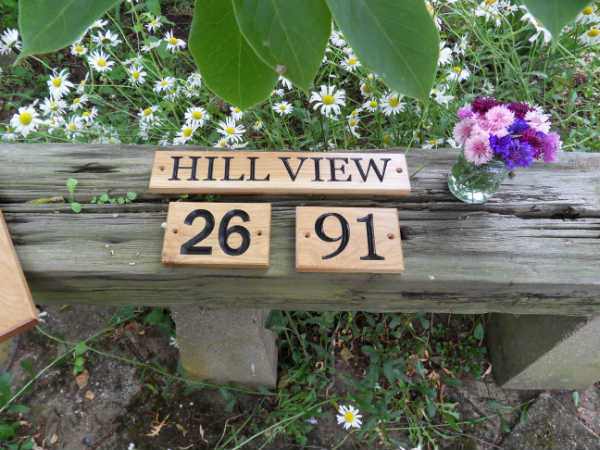 You can now get your House signs, Gate signs, Numbers, Stable signs, Name Plates etc from Timber Flair. All our signs are made to the highest standards & the attention to detail that Timber Flair has become known for with our poultry housing. 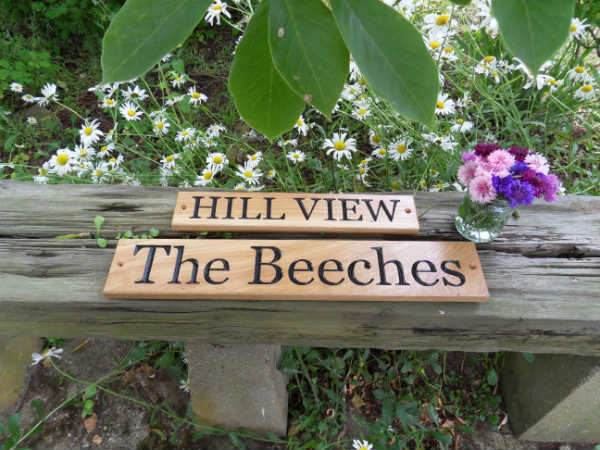 Lettering is deeply carved (not just lightly burnt by laser) into the oak boards before being hand painted in black. The sign is then finished with several coats of Osmo UV Protection Oil. It is supplied with mounting holes & stainless steel screws. Due to every sign being individual Please Use The Form On This Page to send us your requirements. Height of sign. (This can be 70mm or 100mm or 140mm). Exact wording. This should be typed as required on sign, ie all upper case as in HILL VIEW, or upper & lower case as in The Beeches. 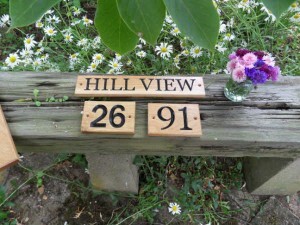 We will get back to you with a price for your sign and answers to your questions. If you are happy with the quote there will be a PayPal button on the email to complete your purchase. 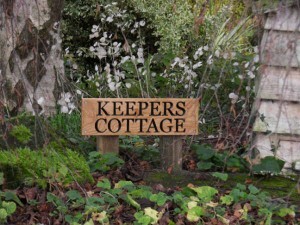 70mm Sign = £8 for first letter £4 for each subsequent letter. 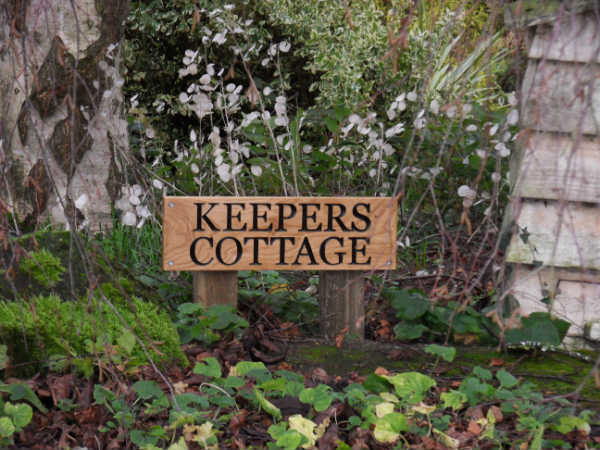 100mm Sign = £10 for first letter £5 for each subsequent letter. 140mm Two Line Sign = £12 for first letter £6 each subsequent letter, but only charged on the longest line.